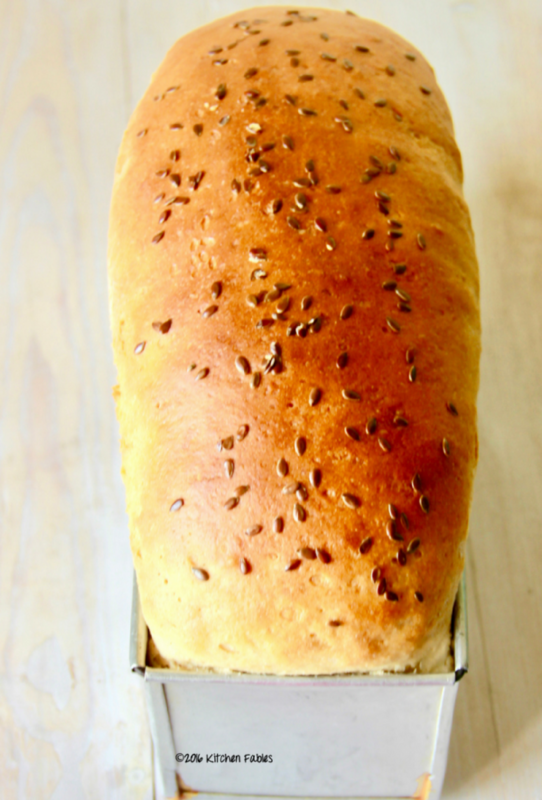 Baking Breads Can Be Addictive, Once You Get The Knack Of It. Bread Baking is effort intensive as kneading the Bread Dough is a little tedious. But, trust me ” No Pain , No Gain”. 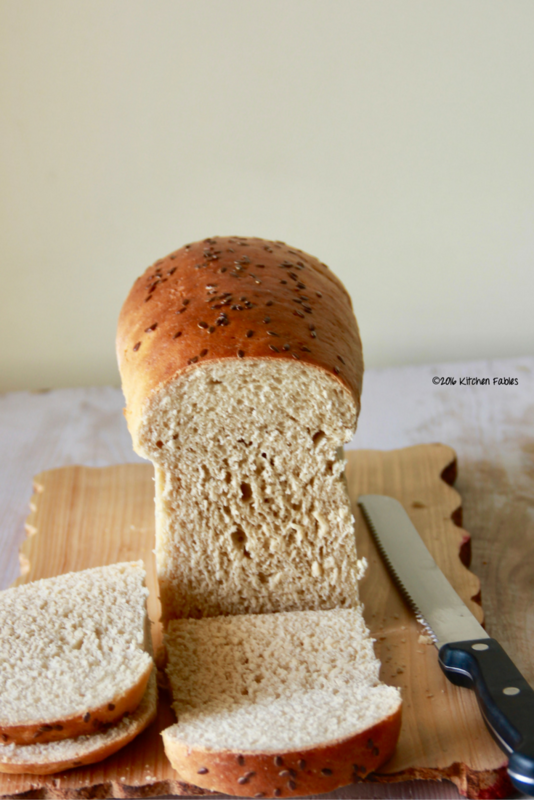 Of all the breads that I have baked , if I were to choose a Bread for Daily use, I would recommend you start with this Easy Whole Wheat Bread. Baking a bread is very fulfilling. The entire house is filled with the warm smell of baking and I am rewarded with a big hug from my daughter. As soon as the bread is out of the oven she would start asking ” Can I taste the bread”? It is difficult to make her wait till the bread cools down to room temperature. 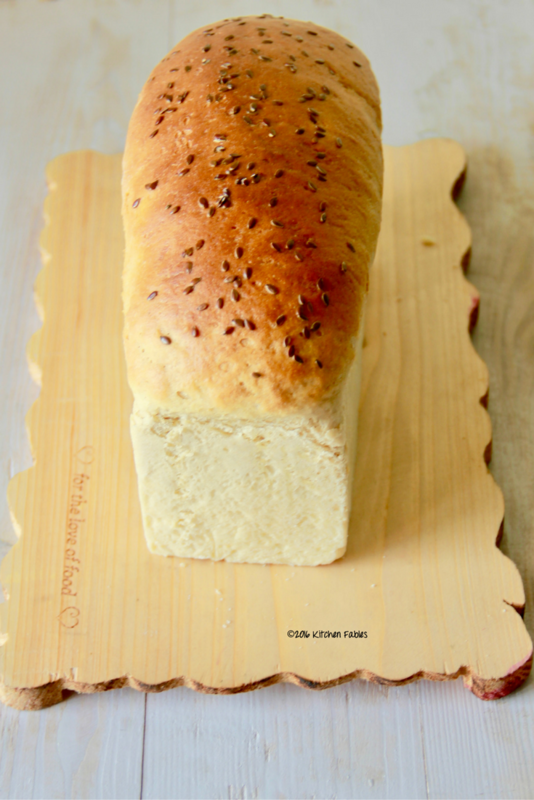 This Bread recipe is healthier than most of the store bought breads, as the recipe uses 50% whole wheat flour instead of all purpose flour , quality ingredients and no preservatives.For baking a bread I would recommend that you use Fresh yeast or Instant Dry Yeast, like Gloripan. I have been using Gloripan Instant Dry Yeast for a few years now and have found it very effective. 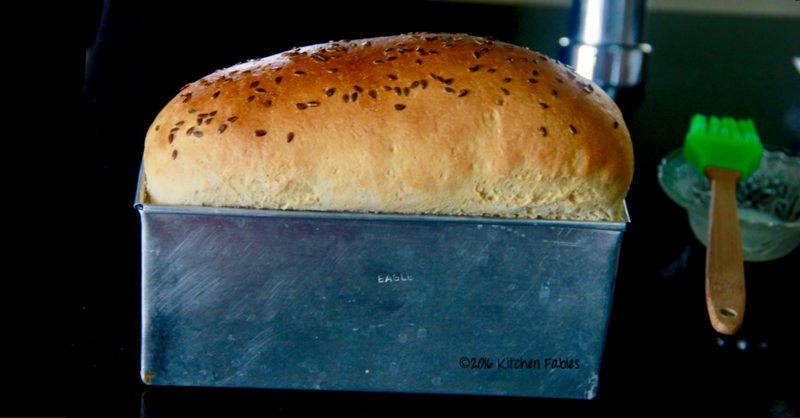 There are many variables in baking a bread, like flour, temperature, quality of yeast etc. After a few trials you will know how much milk is required to knead, the time given for a bread dough to rise etc.. In warmer places, for example, the Bread Dough will rise sooner than cooler places. Bangalore is pleasant most of the year and therefore to create a warm place for dough to rise. I boil water in the microwave , which makes it warm and humid, and then I keep the bread dough in it. I would love to hear from you on how the recipe turned out for you, please leave a comment . Mix Flour, salt, sugar and yeast . Add 1 cup Warm milk and beat for two minutes. Add Egg & Oil and continue beating for another one or two minutes. Add more milk if required to prepare dough. Transfer the dough to the platform and knead well for seven to ten minutes. The dough should be soft and if you try pulling a small portion of dough it should not break and should be elastic. Cover the dough with a wet cloth for 15 minutes. When the dough doubles and rises an inch above the pan - it took almost 45 minutes for me, bake it in a preheated oven at 190 Degrees for 35 to 40 minutes. 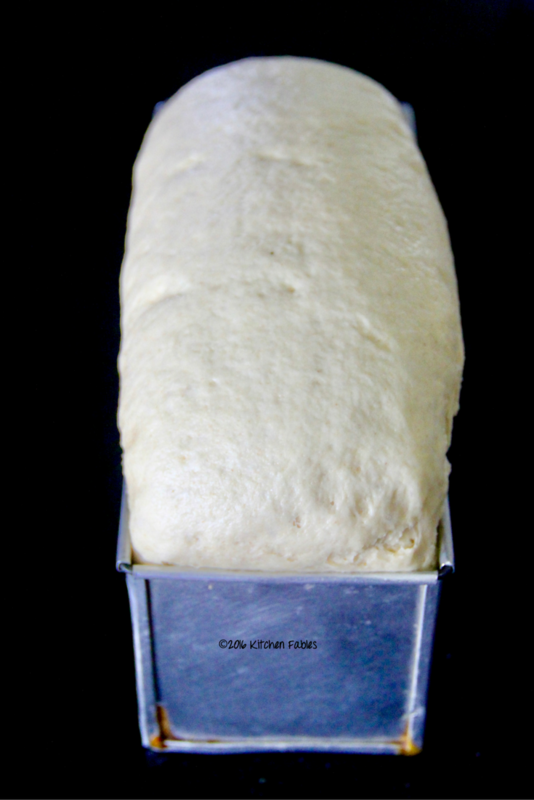 After 20 minutes cover the loaf with a foil such that the top of the bread does not get burnt. After 35 minutes check if the bread is done. Knock on the top of the bread if you get hollow sound then the bread is ready. 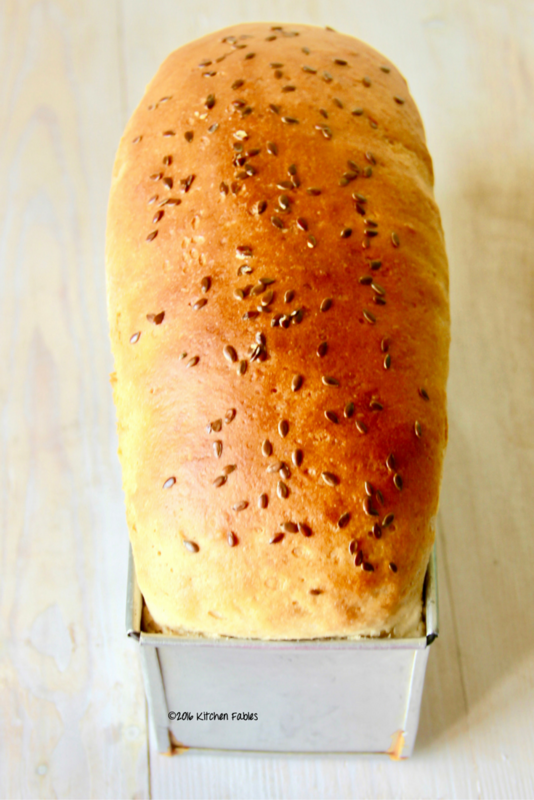 Once the bread is ready , take it out of the oven and after 10 minutes take it out of the pan. Wow, the bread has risen so well indication of a very soft bread, my breads don’t rise well. I will try the yeast you have recommended. Thank you so much Sundari !! despite not doing the first rise for a full hour and waiting for the dough to double in the bowl, this has turned out so good. I must try this method. Yes Nanditta, unlike most of the recipes this recipe does not require the primary fermentation for long. Saves time and no compromise on texture and taste. hi..how much oil is required in the recipe? its not mentioned in the list. 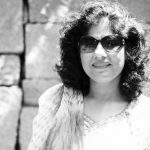 Hi Manisha, thanks for bringing this up. I have updated the recipe.